Pro Home 1 is a proud member of the Certified Contractors Network. As an industry leader in residential roofing, Pro Home 1 is proud to offer GAF Roofing as an option for our customers. GAF is one of the largest manufacturers of residential and commercial roofing in North America, and Pro Home 1 is a certified GAF roofer. Fiber Cement Siding cost less than wood. Fiber Cement Siding resists pests, water absorption to help resist mold, swelling and cracking. "For those who desire the natural appearance of hand-split shake shingles or machine-sawn shake, our composite shake shingles are reminiscent of the texture of natural cedar, but with unsurpassed durability and a life cycle savings of up to 50% compared to natural shake roofing. DaVinci utilizes a proprietary state-of-the-art engineered polymer to deliver durability and beauty for years to come." As an Owens Corning Preferred Roofing Contractor, Pro Home 1 is part of an exclusive network of roofing experts who meet strict requirements for professionalism and reliability. 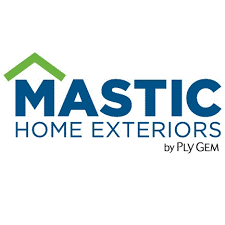 "Pro Home 1 is a certified Mastic Siding contractor. Ply Gem provides you with a wide range of home exterior design options - from styles and textures to popular colors and accessories. With Mastic you can create custom curb appeal that will be they envy of the neighborhood." Air Vent's Intake Vent provides proper intake ventilation for homes with little or no overhang. It's a roof-top installed, shingle-over intake vent designed based on roofing contractor's feedback. The Vent is designed to allow proper ventilation to the attic of your home. Pro Home 1 offers Raindrop Gutter Guards which are designed to be as efficient, durable, long lasting and maintenance free as possible. Pro Home 1 is certified to conduct lead-based paint renovation, repair and painting activities pursuant to 40 CFR Part 745.89. HomeAdvisor's Seal of Approval confirms that Pro Home 1 is licensed, insured and background-checked. Pro Home 1 is a proud member of the Lisle Area Chamber of Commerce. 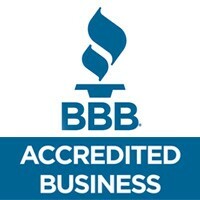 Pro Home 1 upholds the BBB standards for Trust. 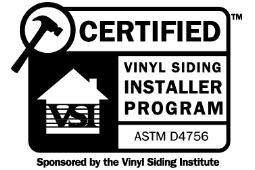 Pro Home 1 is certified through the VSI Certified Installer Program. This means that we have demonstrated knowledge on proper siding installation techniques and adhere to industry standards. 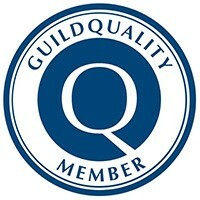 Pro Home 1 is a member of Guild Quality which allows homeowners to answer surveys based on their satisfaction and the quality of the work performed by Pro Home 1. Pro Home 1 is a partner and co-sponsor of Swapadventure®, a donation organization working to promote social recycling and reusing through fun, local events.